Connecticut’s retail electricity market might have the nation’s most robust consumer protections but now the state’s consumer counsel wants to scrap it. Why ban choice in CT’s electric market? On February 4, 2019, Connecticut Consumer Counsel Elin Swanson Katz, alongside U.S. 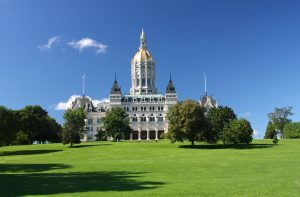 Senator Richard Blumenthal and other consumer advocates called on Connecticut legislators to end residential electric choice. They claim it is economically harming consumers and have drafted a bill to end it. What is wrong with residential electric choice? Katz, Blumenthal and others claim that third-party power suppliers have not resulted in consumers saving on their energy bills as was promised. Instead, they assert that consumers using third-party suppliers have spent an estimated $200 million more than customers who got electricity from the state’s two local utilities’ standard service offers. Opponents to electricity choice accuse Connecticut’s electric suppliers of predatory sales tactics and charging significantly higher rates. Katz labelled the the current situation as “unfixable” and has claimed that robust consumer protections by the Connecticut Legislature in 2014 and a first-in-the-nation variable rate ban in 2015 failed to protect consumers. The Retail Energy Supply Association argues that shutting down the third-party market will leave consumers with even fewer choices and higher costs. Third-party suppliers also offer multiyear contracts, price stability, advanced thermostats, more green energy, and loyalty rewards. Will Connecticut’s residential electric choice end? For the time being, it is still uncertain if such a bill will be drafted by any lawmaker. Currently, lawmakers are debating legislation designed to further protect customers and improve the state’s retail electricity market. All the same, Connecticut’s electricity customers will still need electricity plans at a price they can understand and afford. The best place for consumers to compare reviews and shop for the best deal that fits their needs is still at https://www.ctenergyratings.com.